Watching the person you love experience the challenges of aging can be a difficult experience. 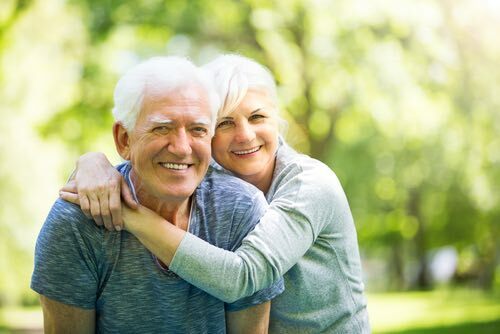 As your spouse begins facing age-related limitations and changes in ability, he or she may need assistance with many routine tasks and activities. The responsibility of that care often falls on you as the spouse, and the stress and emotional strain of seeing these changes can feel overwhelming at times. Many people struggle with balancing the desire to care for a spouse they love while also feeling tired, isolated and discouraged by the demands of caregiving. If you have experienced these feelings, you’re not alone. Caregiving changes the way spouses relate to one another and you may experience grief or emotional distress as your roles shift. You may also feel overwhelmed by the demands placed upon you, especially if you don’t have many people you can ask for help. 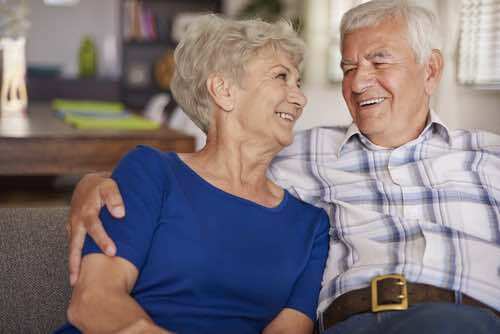 Caring for your spouse and trying to maintain your home at the same time often proves exhausting, especially if you are responsible for physically demanding tasks like changing linens, doing laundry, and grocery shopping. On top of the changing responsibilities you face, you may also experience friction with your children if they don’t understand your needs or have different ideas about the best way to help. Caregiving brings with it a whole new range of emotions and stresses and it’s easy to feel alone. But the good news is that you can get the support you need without giving up the relationships and activities you enjoy. Here’s what we recommend. Compartmentalize as much as possible. As much as you are able, separate your caregiving responsibilities from your personal time with your spouse. That may mean setting aside a block of time each day when you agree not to talk about medical issues, or it may mean asking for help with the caregiving side so you can focus on enjoying your time with your spouse. Leave space and time to experience your emotions. Don’t try to hide your emotions. The changes in your relationship can cause you to feel sad, frustrated and even angry at times. Give yourself time to process these emotions by talking through them with someone you trust or with a support group rather than suppressing them. Continue doing the things you love. Save time to enjoy your favorite hobby, get outside and exercise, or meet up with friends. It’s easy for caregiving to squeeze other things out of your life, but you need the rest and mental space afforded by doing other things you enjoy. Don’t try to go it alone. Ask for help and when someone offers assistance, say yes. Help may come from friends, your church, your family or a professional caregiver. Remember, you’re not alone and you don’t have to shoulder the entire burden of care yourself. It may take some time for you to adjust to a new normal. Give yourself grace during this period and don’t expect things to change overnight. In time, you and your spouse will both learn how to navigate the challenges of caregiving together. Alzheimer’s Association Cleveland Chapter. This group provides local education and support for family caregivers of people with Alzheimer’s and dementia. NAMI Greater Cleveland. The National Alliance on Mental Illness supports family members, spouses and friends who care for individuals of any age who struggle with mental illness. Western Reserve Area Agency on Aging (WRAAA). The WRAAA Family Caregiver Support website connects caregivers with resources like support groups and respite care. VA Caregiver Support. The Veterans’ Administration provides resources for those caring for veterans, including a caregiver support coordinator to help you find local support groups and a support line you can call for help or just a listening ear. Cleveland Clinic Support Groups. The Cleveland Clinic maintains a list of support groups for caregivers of people with a variety of medical conditions including cancer, heart disease, and Parkinson’s disease. Finding the support your need is a vital part of caregiving. If you don’t care for yourself, you won’t be able to give your spouse the help that they need. To learn more about how home care can play a role in supporting you as you care for your aging spouse, call us at (440) 484-5390.